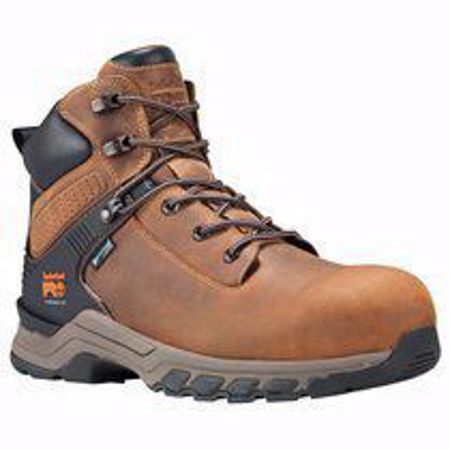 The Timberland PRO Hypercharge 6 Inch Composite Toe Work Boot A1RVS is a must have on a demanding job site. This versatile boot has an independent suspension network to provide comfort and stability. This light weight boot with built in anti-fatigue technology allows you a comfortable and smooth stride as you tackle long days on your feet. With a safety composite toe powered by CarbonShield technology, premium waterproof leather uppers with waterproof membranes to lock out water, and Bloodborne Pathogen Resistant, you're equipped to handle a variety of working environments.